Cedar Park, a rapidly growing city just 17 miles from downtown Austin, commissioned the team of Counsilman-Hunsaker and Kimley-Horn & Associates to design a new 8,000 sq. ft. outdoor waterpark. 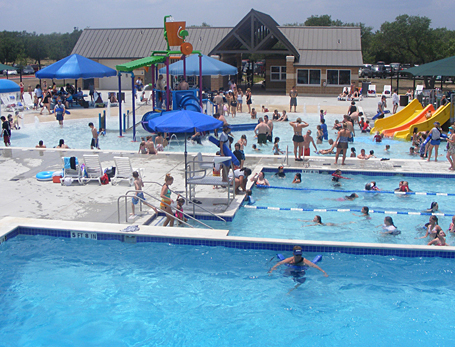 Located in Northwest Community Park, the waterpark was designed for a variety of age groups to enjoy sun- drenched activities. Upon entering the aquatic center, guests survey the vibrant aquatic scene from inside the open-air lobby, lured outside by what all there is to dive into, swim around in, or relax in.